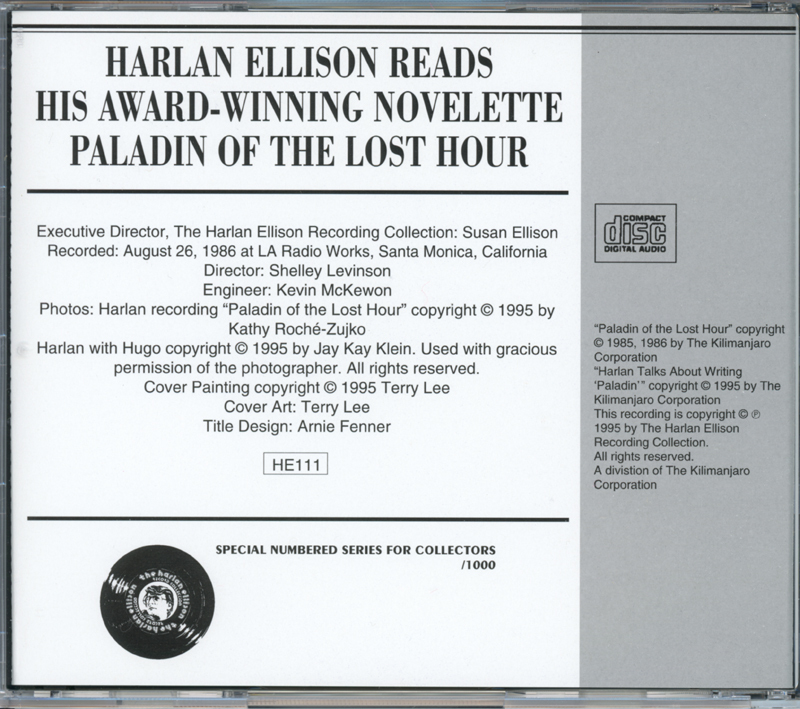 Harlan Ellison reads his Hugo Award-winning novelette, “Paladin of the Lost Hour” in this 1995 compact disc release from the Harlan Ellison Recording Collection. 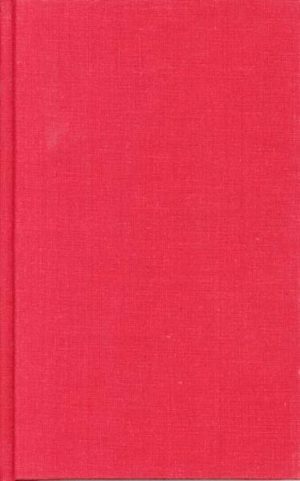 Originally issued as a signed, limited edition of 1,000 copies, this unsigned, unnumbered supply was discovered in the grotto hidden within the Lost Aztec Temple of Mars. 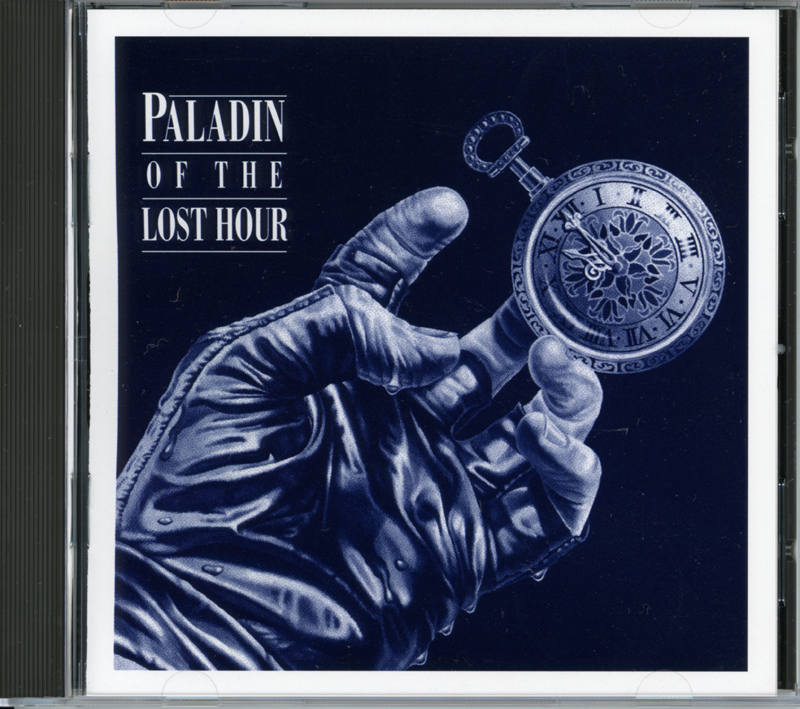 Recorded 26 August 1986 at LA Works, Santa Monica, CZ. 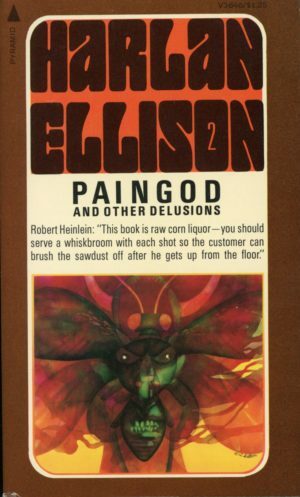 Cover art by Terry Lee. 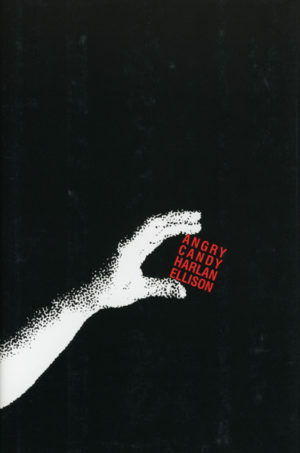 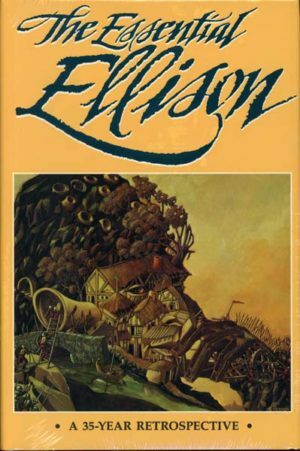 Features a four-and-a-half-page essay on the writing of the story, by Ellison.